Nifty opened flat and was immediately sold off to the lows of 5840. The responsive buyers took control from there on and moved the index above the previous day’s high to close at the highs of the day at 5930.90, a good gain of 30.40 points. The broader market also performed well, with 840 advances to 671 declines. The OI Table now has Bull written all over it. 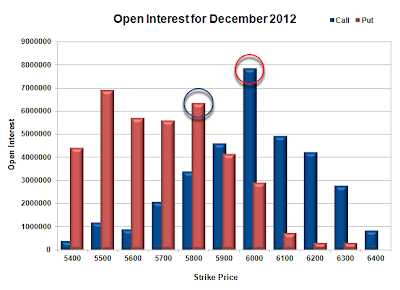 Call option 6200-6300 added 7.54 lacs huge amount of OI with some short covering seen at 6000 and below strike price. Put Option 6000-5800 added 9.34 lacs huge amount of OI with profit booking seen at 5700 and below strike prices. Highest accumulation on Call option 6000 at 78.5 lacs & 6100 at 49.1 lacs whereas Put option 5500 at 69.1 lacs & 5800 at 63.5 lacs. Nifty Open Interest is at 2,06,64,300 up by huge 2,25,750, with increase in price, most probably long build-up. Bank Nifty Open Interest is at 14,73,525 up by 30,125, with increase in price, most probably long build-up. FII’s sold huge 1.82 lacs of Futures, most probably short build-up as their OI also increased by 567 contracts, and the average price per contract comes to around 5890. FII’s future open contract as on date is 385129. PCR Open Interest (Volume) is back on its up-move and now at 1.293. 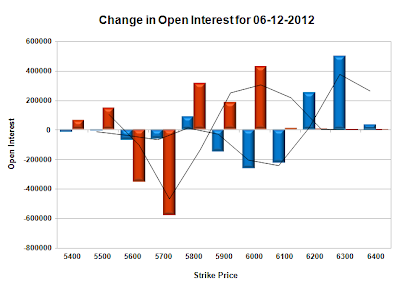 Support at 5800 is now very good with OI at 63.5 lacs and below that at 5700 with OI of 56 lacs. 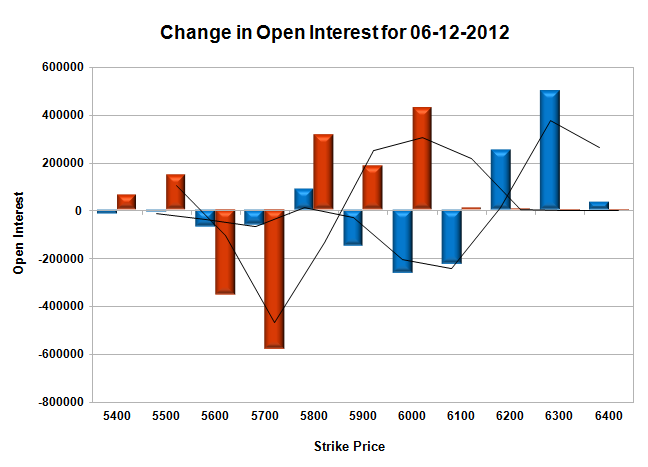 Only solid Resistance is at 6000, with highest OI of 78.5 lacs. 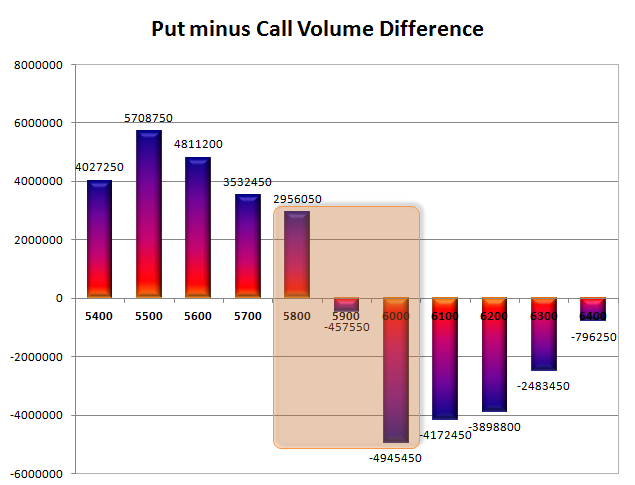 Range as per Option Table is 5865 -5956 and as per VIX is 5884 - 5978 with 5910 as the Pivot.